The 2017 Eagles will go down as one of the greatest teams in Philadelphia sports history. Overcoming injuries and obstacles, they became the first No. 1 seed in NFL history to enter the playoffs as an underdog. 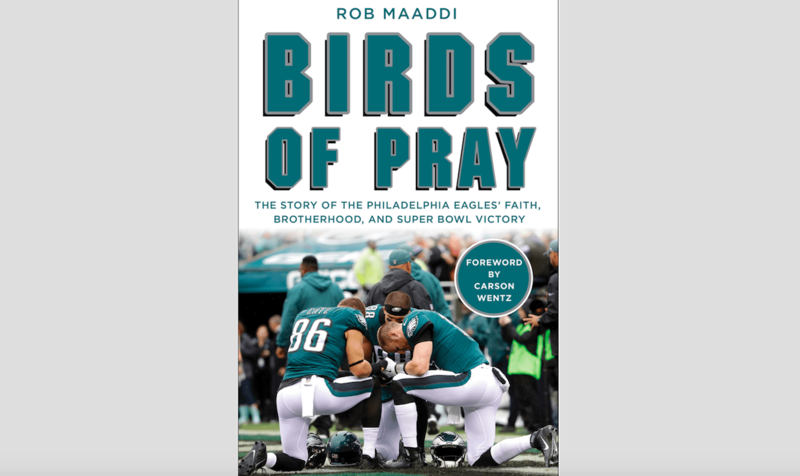 In “Birds of Pray: The Story of the Philadelphia Eagles’ Faith, Brotherhood, And Super Bowl Victory,” AP NFL writer Rob Maaddi takes us behind the curtain for an inside look at the team’s strong faith in Christ and how their trust and reliance on God helped guide them to an unforgettable year. Carson Wentz, Nick Foles, and Nate Sudfeld formed a special bond in their first season with the Eagles. The three quarterbacks prayed together, listened to worship music while watching film, and helped each other become better players and better men. There was no jealousy or backstabbing, no hoping the other guy gets injured. Just three guys who love Jesus, love football, and love each other. Sudfeld joined the team right before the first week of the season after he was cut by the Washington Redskins. 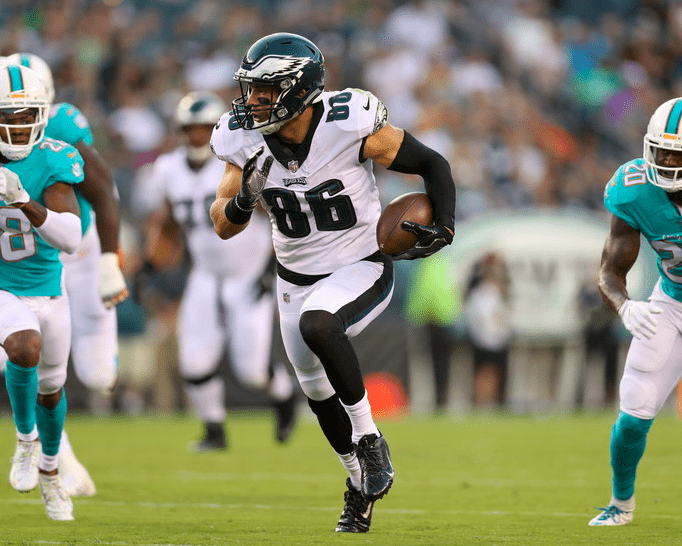 As the son and grandson of preachers, he fit right in with Wentz and Foles. “They’re honestly like brothers to me,” Sudfeld said. Sudfeld has been on mission trips to Romania and several to Africa. His grandparents, Bob and Charlene Pagett, are the founders of Assist International, a second-generation nonprofit that seeks to address the needs of the developing world. His father, Ralph Sudfeld, is the current CEO, and his mother, Michelle Sudfeld, is Director of Administration. Naturally, Nate joined Wentz on a trip to Haiti after the season. When Wentz went down, Foles and Sudfeld were sure to lift his spirits and encourage him. Former Eagles offensive coordinator Frank Reich is a fellow Christian who went to seminary school after a fourteen-year career in the NFL and later became the pastor of Covenant Presbyterian Church in Charlotte, North Carolina. Reich appreciated the brotherhood among the quarterbacks he coached in 2017. Shortly after he had surgery just three days after suffering his injury, Wentz FaceTimed his quarterback buddies. He was ordering a burger and still feeling the effects from anesthesia but wanted to check in. “Birds of Pray” releases Tuesday and is available everywhere books are sold. 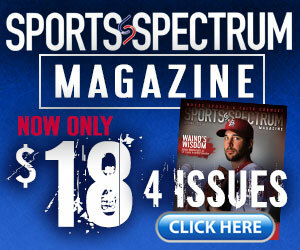 You can order your copy here.